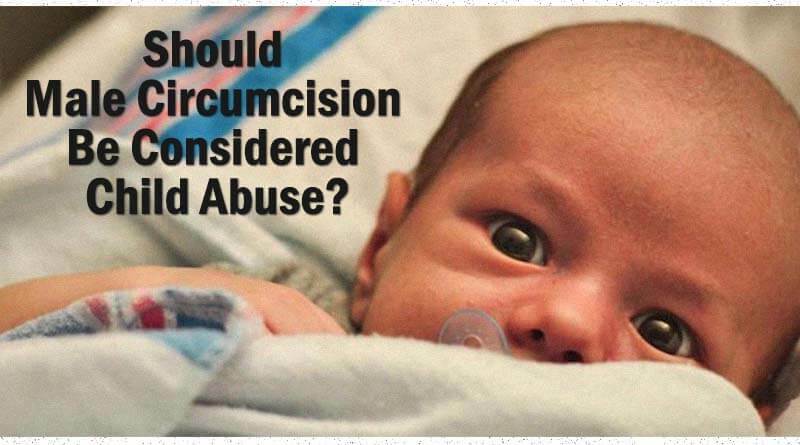 Should Male Circumcision Be Considered Child Abuse? - ShareIt! Some say the baby cries for a few minutes and it’s healed in a week, and later as an adult, it’s more sanitary and looks more aesthetically pleasing. Others say that if cutting off a piece of female genitalia is considered barbaric, we should give males the same consideration, that this is an outdated ritual and it’s useless genital mutilation plain and simple. There have been domestic court cases that claim male circumcision is a form of child abuse. For instance, there was a case in Florida that got into a brutally bitter legal battle between a husband and wife. This invoked the larger cultural war within the U.S. and medical authorities proclaimed that the benefits of the procedure outweighed the risks. And it’s worth noting that our European friends rarely perform this procedure. Several European opponents of circumcision however, including The Royal Dutch Medical Association and the British Medical Association, disagree and feels that circumcision is “medically unnecessary” and violates boys’ human rights. The British Medical Association considers it a cultural, non-therapeutic procedure and requires the consent of both parents. Lately, there has been some agreement in the scientific literature here in the U.S. that suggests that the scientific community may be changing their official stance and are somewhat in agreement with the Europeans. Apparently, the research on circumcision is suggesting that there’s a layer of protection from STDs like HIV, although some feel that this has been cherry-picked from few studies and that overall the benefits of circumcision are not well-proven. This conversation is just as much about cultural norms as it is about health and wellness.